It’s now been a year since Driver CPC became compulsory for all professionals drivers. Since then, drivers and operators have spoken about the benefits they’ve got from Driver CPC. Some drivers say it’s helped them to improve their knowledge and made them safer drivers, others claim that it’s made them more employable. 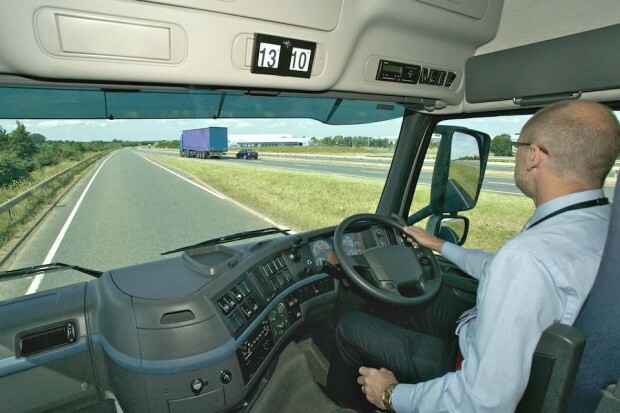 Information about Driver CPC training for qualified drivers has now been brought together into a new guide to make the information easier to find. The concept of 7 hour modules without any form of examination may be flawed. Too many sit watching the time and discouraging questions in case the course runs over. The lack of an incentive limits learning. Instructors delivering the courses tend to be non specialists. Awareness of first aid was similar to Vogon poetry - I seriously considered chewing my own arm off! The opportunity to share experiences with a dozen other professional drivers was not facilitated. I think an exam based approach would be more effective. Training could be delivered and tested using computers or smart phones with remedial classroom tuition if needed. There are also recognized bodies who provide members with the facility to plan and record continued professional development e.g. the IRTE. It's a good time to up our game! complete waste of time & money. rip off. licences doing too much work on the roads. Despite numerous reports to VOSA or the Standards Agency, they do nothing and I mean NOTHING to put end to it. I am really fed up with it having to jump through more and more hoops. The authorities seem only interested in severely punishing licenced drivers and do not bother with un-licenced drivers for some reason. We may as well not bother and all run about un-licenced, it'll be much cheaper and a lot less effort. I do think training is a good idea, but feel the fact that it is just a case of attending that its a none starter. If i have to give up my time I at least want something worth while. The company I work for are very keen on training and we do it all in house. I want something that is more of a challenge, alot of drivers just fall asleep at the back of the class room. The fact that I do my full ADR packages and tanks (even class 7) they still insist that I have to do the driver cpc. I feel it's a waste of my time, its basically not worth the plastic card its printed on. I would like to see a proper test (multiple choice similar to the ADR) Yes there is a shortage of drivers and yes if it was run properly there would most probably be an even bigger shortage, but maybe then we would be treated with a little more respect. When will this country wake up and realise that without us the country will grind to a halt. I'm fed up with being treated like a 2nd class citizen. The only thing I found useful was the drivers hours. I think the rest that you have said is just spin. I also know that a lot of drivers left the industry because of these courses which is a major factor as to why there is now a shortage.